The 2016 Escape is one of the top-selling compact SUVs in a crowded segment that includes the Nissan Rogue, Honda CR-V and Toyota RAV4. 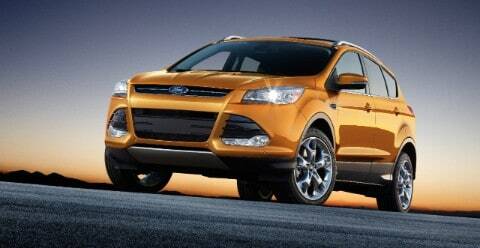 Of Ford's five-seat SUVs, the Escape is the smaller one; the five-seat Ford Edge is midsize. The Escape is available with a choice of three four-cylinder engines and front- or all-wheel drive. All models come with a six-speed automatic transmission. The Escape is equipped to keep up with you. It has a 168-horsepower, 2.5L Duratec engine, or you have your choice of two available EcoBoost engines. They're paired with a 6-speed SelectShift automatic transmission, providing the sportiness and control of a manual. The Escape also has trailer sway control to help you tow more confidently. This feature automatically determines from the motion of the vehicle if the trailer is swaying and takes measures, such as applying precise braking or reduced engine torque, to help keep both the vehicle and the trailer under control. 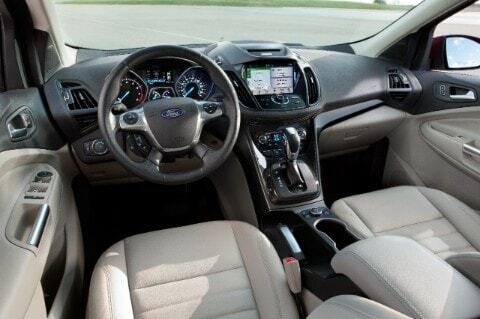 Inside the 2016 Ford Escape, you will find plenty of soft touch materials and generally impressive fit and finish, though there's not as much storage space for personal items as you might expect. The front seats are well-shaped and generously padded, while the gauges are large and easy to read. Some controls are a little hard to use. You have to reach down low to find the climate-control panel, and the standard audio interface frustrates with its small display screen and sea of similar-looking buttons. More promising is the new Sync 3 system that replaces the previous year's MyFord Touch interface. What tires should I choose for my car? That depends on which car you have, and the environment you are driving in. We can help you figure out which ones will be right for you! We are located in Lapeer, Michigan and we serve all of the local areas! Escape can help you avoid a collision, and help protect you if one occurs. Required in every new car: front airbags, anti-lock brakes and an electronic stability system, MyKey programmable key system, Side-impact airbags for the front seats, Side curtain airbags, Backup camera, Roll Stability Control, Available blind spot warning system with rear cross-traffic alert, Available front and rear parking sensors. Give us a call for more information on the 2016 Ford Escape!